Please Note: We do use referral links for products and services that Chef Alli loves and recommends. 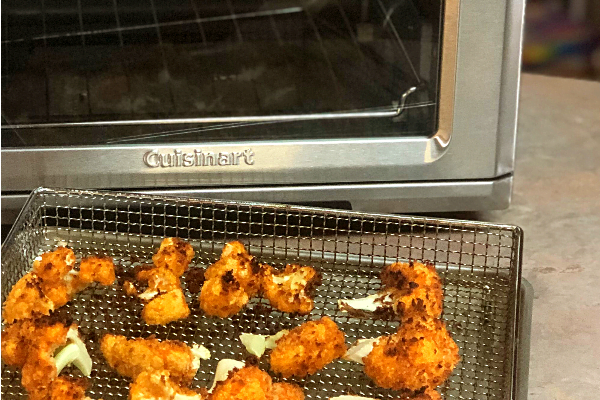 We are totally enjoying our air fryer – it has even earned a full-time spot on the counter. I really like how you don’t have to preheat it, which really speeds up the cooking time. It is hot almost instantly and the air fryer cycle really blows the hot air so things get crispy and browned nice and quick. Or, if you don’t want the hot air blowing, you can choose the bake or toast setting – super versatile. There are tons of different air fryers out there to choose from. We decided to go with the Cuisinart TOA-60 Air Fryer/Toaster Oven so we could use it for all sorts of small cooking tasks. I love how the toaster oven part works – it makes great toast! The boys use the air fryer part for little pizzas, corn dogs, tater tots, bacon and grilled cheese sandwiches. 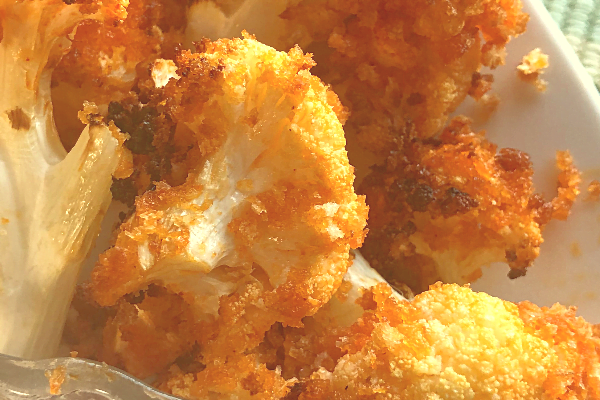 I’ve been surprised at how quickly they’ve made a habit of using the air fryer instead of the oven – yay! Puff pastry is an amazing thing to keep in your freezer when you want to make a quick dessert or chicken pot pie. Puff pastry does just what it says – it PUFFS when you bake it, getting golden brown and delightfully tender. This is due to all the BUTTER that’s used to make puff pastry, which, of course, is also what makes it so delicious. To make these Churro Stix, all you have to do is thaw your puff pastry, then lay each sheet out on to a lightly floured work surface. Cut each sheet in half horizontally, then cut each half into strips about 3/4″ wide. Now it’s time to air fry. Twist each strip of puff pastry, then lay then side-by-side into the air fryer basket, leaving room around each one so they can air fry evenly. It only takes a few minutes for these little twists of heaven to get golden brown, so keep your eye on them! Next, dip each puff pastry twist in the melted butter, then roll each one in the cinnamon-sugar mixture. Serve right away while they are warm, tender, and luscious. If you’d like, drizzle them with a powdered-sugar glaze, but we never make it that far – my family devours these! Feather-light, tender puff pastry stix dipped into butter and cinnamon sugar. They melt in your mouth! Place one sheet of puff pastry onto a lightly floured work surface; cut in half horizontally, then slice each half into strips about 3/4" wide. Repeat with remaining puff pastry sheet. Turn air fryer to air fry at 375 degrees F.
Twist the puff pastry strips, then place each one into the air fryer basket, side by side, leaving a bit of space around each one, working in batches. Place basket onto baking tray, then into the air fryer. Air fry for 6-8 minutes, or until golden brown, turning half way through the cooking time. Repeat with remaining puff pastry strips. Dip each puff pastry stick into the melted butter, then roll in the cinnamon-sugar mixture. Serve at once! These Churro Stix would be delicious served alongside my Easy Homemade Raspberry Sorbet – hope you’ll give it a try. 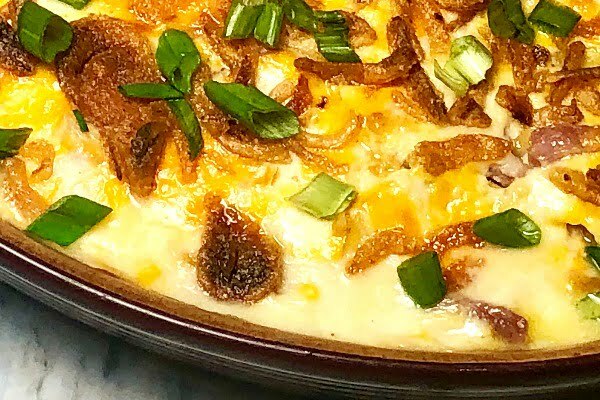 If you enjoyed this recipe, then I’d love for you to join me in my culinary crusade to help home cooks everywhere be joyful, confident, and successful in the kitchen. Click below to sign up for my weekly newsletters and meal plans. By signing up, you’ll also be the first to know about Chef Alli events, giveaways, freebies, and cooking classes.